Chinese New Year is fast approaching, have you done your shopping yet? This year, let's have a splendid Chinese New Year at IPC Shopping Centre with stunning decorations and festive activities created just for all of us. We Chinese believe that bamboo is a symbol of virtue, it reflects people's souls and emotions. 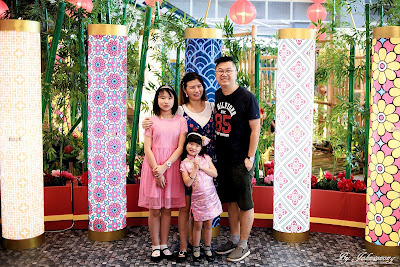 This Lunar New Year of the Boar, IPC Shopping Centre has transformed it’s concourse area to an Infinity Bamboo Garden shaped of an infinity symbol. 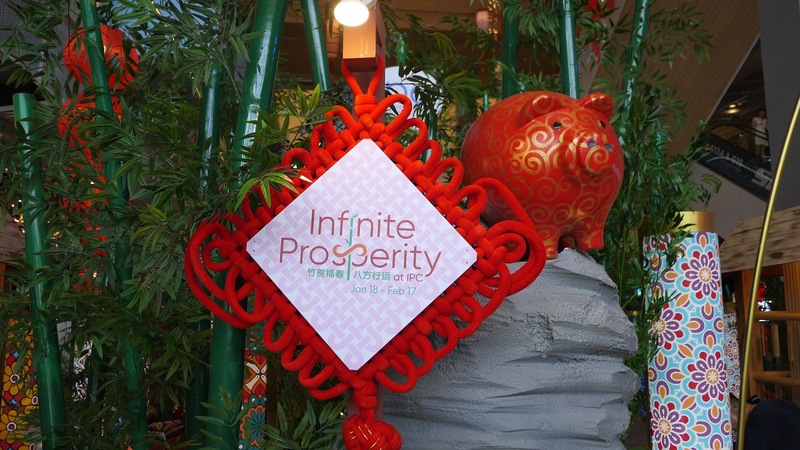 Complete the infinity loop for continuous prosperity. IPC Shopping Centre has always been my family's favourite shopping centre. Hence I have brought them here to experience ‘Infinite Prosperity’ last weekend. 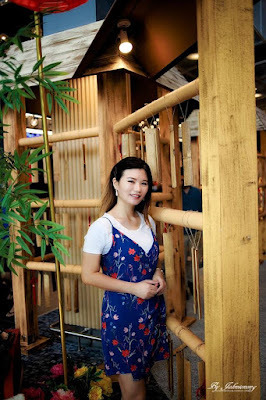 Once we stepped into the shopping centre, we were attracted by the green but colourful Bamboo Garden at the Concourse area. The venue has come alive with plenty of the prosperous and festive decorations, filled with various experiential touch points for the whole family to enjoy. 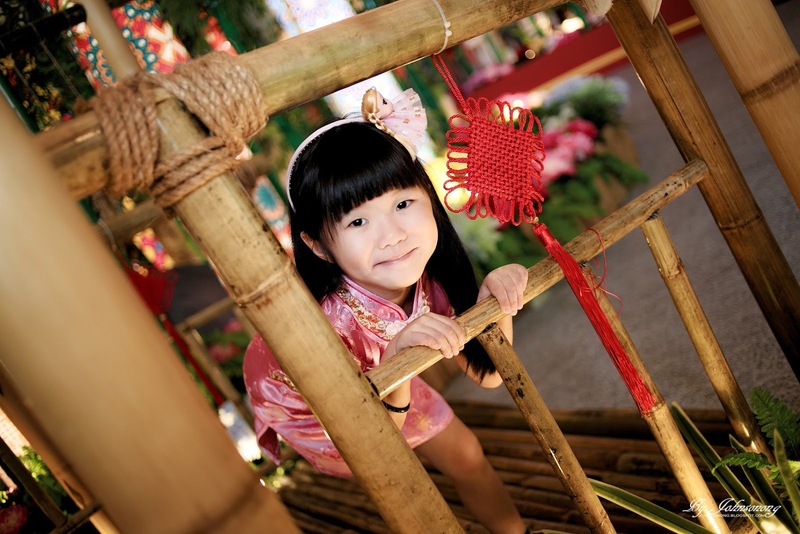 Here you can hear the harmonious tune of bamboo wind chimes while walking pass the bamboo bridge, take family pictures in front of the beautiful decorations, take selfies with the cute little piggies or even just sit there to enjoy the beautiful scenery. The little piggy figurines look like the pig piggy bank that reminds me of my sweet childhood memory. 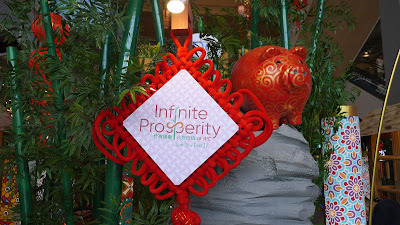 It is indeed one of the most impressive and related Lunar New Year decorations we have seen for the Year of Boar. From the top floor of IPC, we can see clearly that the Bamboo Garden layout is in the shape of an infinity symbol that represent infinite joy, laughter, wealth, health, peace, and harmony. It is a great symbol to welcome the Spring with a blessing of prosperous. 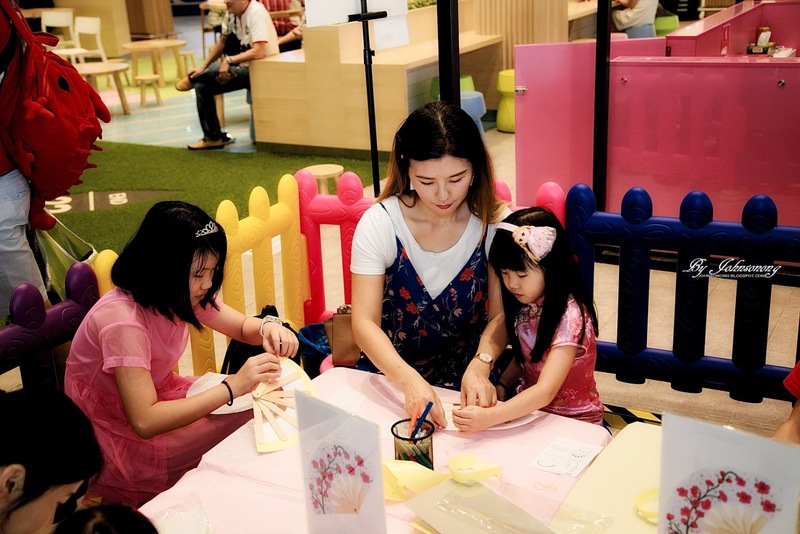 Besides that, being a family-friendly shopping centre also means involving kids in the festive spirit, there will be workshops organized every weekend at IPC Shopping Centre from 18 January to 17 February 2019. 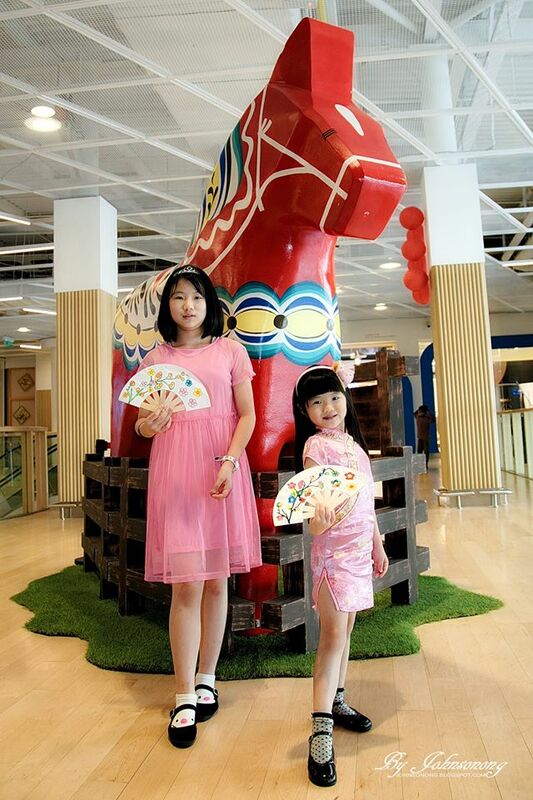 From Chinese dragon puppet workshop, clay piggy workshop, lucky coin pouch workshop and many more. It's such a fun time to get your kids' working with some art here for free. My girls have took part in the fan making workshop, it was interesting to see them working on painting and art. They walked back with the vivid coloured fan happily that day. There's no pre-registration needed as the workshop is based on first come first serve basis. Priority is given to IPC Små Club members hence it's recommended to apply one for your kid. These workshops are exclusively for kids aged 12 years and below and each workshops are limited to 30 kids per session. Once your shopping is done, it's time to enjoy the Chinese New Year Treats. 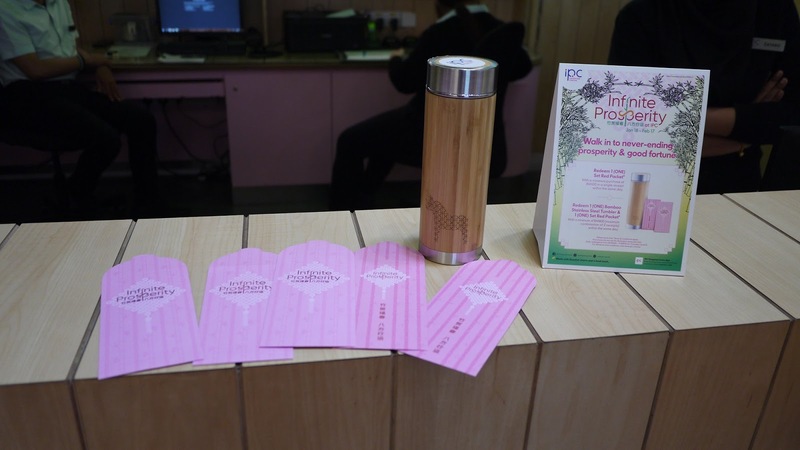 Shoppers will be rewarded every time they spend a minimum of RM100 in a single receipt at any retail outlets in IPC. They will take home one (1) set of 2019 IPC red packet of good fortune. Shoppers who spend a minimum of RM800 in a maximum combination of 2 receipts will walk away with one (1) bamboo stainless steel tumbler and IPC red packets. My family and I definitely did a lot of shopping while we were there! 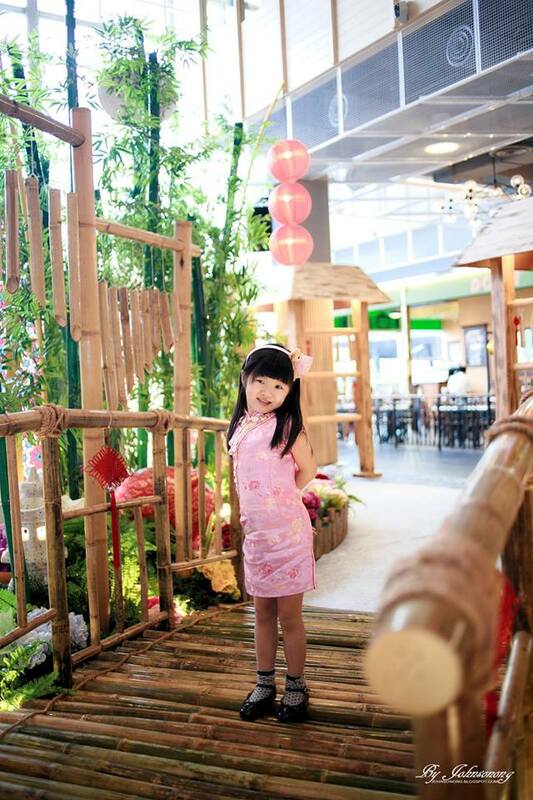 To fully experience the joy of Spring, come on now to IPC Shopping Centre to create an unforgettable Chinese New Year with your family and friends. Wow dah ada mood Chinese New Year. 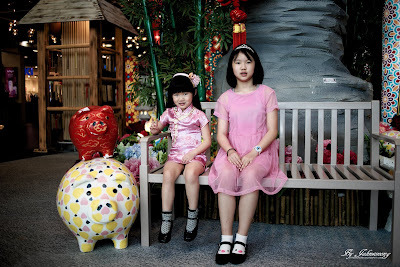 Ye lah tak lama lagi kan. Comelnya anak2 pakai cheongsam, Anak i ada 1 cheongsam masa dia kecil warna biru. HAPPY and prosperous Chinese New Year. i love all about Chinese New Year. I hope i can know more about Chinese New Year. glad you are sharing here as been thinking wanna go there or not. 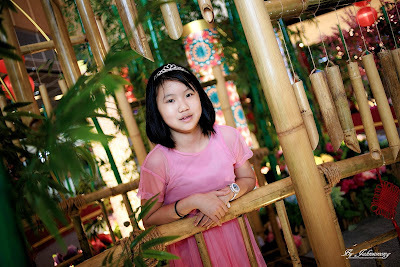 Now seeing your pics I can tell my dear, lets go next week as CNY and school holidays too. Happy chinese new year to you! May this new year brings you all the prosperity and happiness. i haven't gone to ipc shopping centre. now, everywhere is ohsem with CNY decorations. from christmas shifted to CNY. lovely! wow cantiknya decoration CNY dekat IPC..i love to see shopping complex decoration during seasonal. and when CNY i like to see girl wearing cheongsam,look sweet and beautiful.happy CNY to you and family.. They reall go all out for the CNY deco eh. Love the bamboo decoration thingy, like old times one. Hows ur preparation for CNY so far? Yeah, IPC is the best mall to shop..looks nice the CNY deco there. Plan to go there on this weekend, a few days before CNY..mesti meriah! Waaa.. Kat mana ni.. Haritu macam terperasan ada decoration macam ni di Aeon Tebrau. Happy chinese New year Rane.. Wah!! Bonding time.. Ur Kids must be enjoy so much for this year celebrate .. It has been quite a while since I last visited IPC - I want to see the deco there and then shopping and dining too! Wah bestnya! Dekat IPC aje! Nanti nak pergi la musim cuti ni. 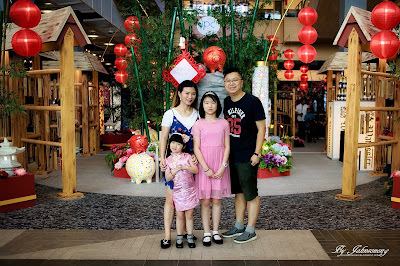 seems like a nice place to go during chinese new year especially to take all the nice photos with their cny decorations!